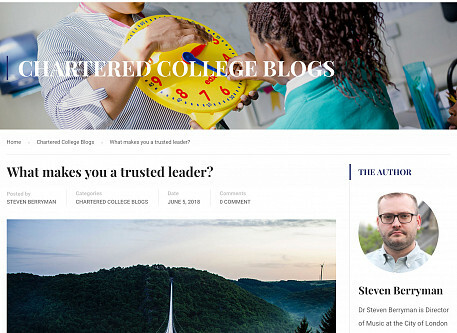 Article for a EdTech special issue of the Chartered College of Teaching's journal, Impact. 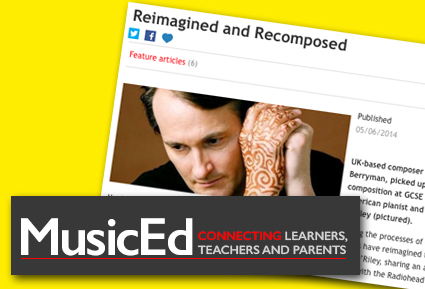 A reflection on the use of MusicFirst, an online platform for music education. City of London School for Girls provides students and staff with iPads, and all departments are encouraged to explore how best to integrate the use of mobile technology into the classroom. 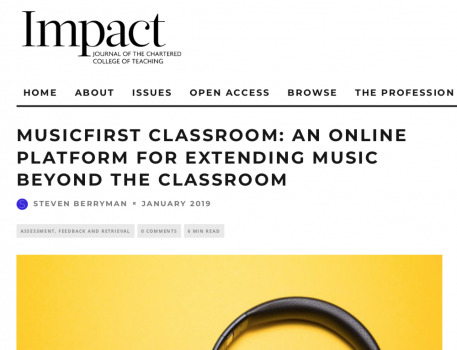 The music department has adopted the MusicFirst Classroom – an online platform where students can access cloud-based software and create a portfolio of work – to enhance our approach to assessment and extend learning beyond the classroom. This case study will share the benefits and challenges of integrating an online platform with all of Key Stage 3. Drawing on pupil voice, discussions with the founder of the platform and staff that are using it, it will be revealed that there is scope to make effective use of an online platform to fully democratise the learning of music so that all students, regardless of musical skill, can engage with the curriculum. 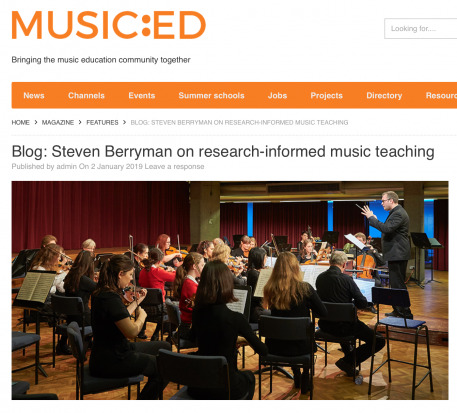 Dr Steven Berryman, Director of Music at City of London School for Girls, calls for more music teachers to engage with research: a vital tool in our work. Being a research-informed teacher is increasingly the norm. Social media allows us to engage with colleagues from across the globe, engage in debate about best practice, share teaching approaches and discover new resources. Social media also allows us to engage with academics and researchers from a variety of disciplines who are keen to investigate aspects of education that can further improve the outcomes for learners. Being a research-informed teacher is increasingly the norm. Social media allows us to engage with colleagues from across the globe, engage in debate about best practice, share teaching approaches and discover new resources. Social media also allows us to engage with academics and researchers from a variety of disciplines who are keen to investigate aspects of education that can further improve the outcomes for learners. We are now expected to be research-literate, able to navigate the ensuing flood of material that includes items such as articles, blogs, reports, videos and podcasts and to discern when something is worthy of serious consideration or of dismissal. Research that is relevant to education includes not only that within one's own subject but also associated disciplines and areas that are relevant to the practice of teaching (such as psychology). Finding a journey through this huge array of research material is daunting, particularly for the time-stretched music teacher. 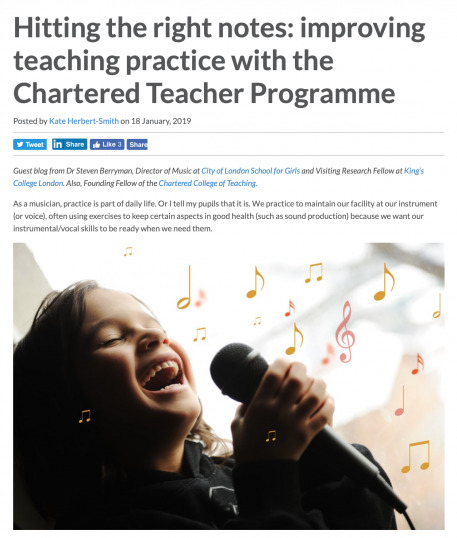 Guest blog from Dr Steven Berryman, Director of Music at City of London School for Girls and Visiting Research Fellow at King's College London. Also, Founding Fellow of the Chartered College of Teaching. As a musician, practice is part of daily life. Or I tell my pupils that it is. We practice to maintain our facility at our instrument (or voice), often using exercises to keep certain aspects in good health (such as sound production) because we want our instrumental/vocal skills to be ready when we need them. Blog post and book reviews can be read here. 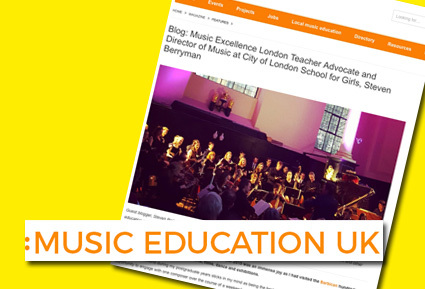 A blog post I had written for Music Excellence London has been republished on the new Music Education UK website and can be read here. Joining City of London School for Girls back in September 2015 was an immense joy as I had visited the Barbican hundreds of times since being a student to see concerts, films, dance and exhibitions. There were performers everywhere and I was enthralled by how music brings people together. We collaborate so readily as musicians in performance and my own desire to collaborate came from my composing. Composition chapters in GCSE Music Study Guides (OCR and Edexcel) 2016. 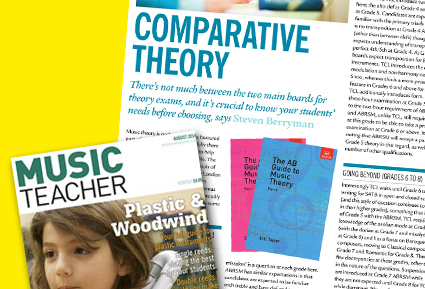 An article for August 2014 issue of Music Teacher magazine exploring the difference between ABRSM and TCL theory examinations. 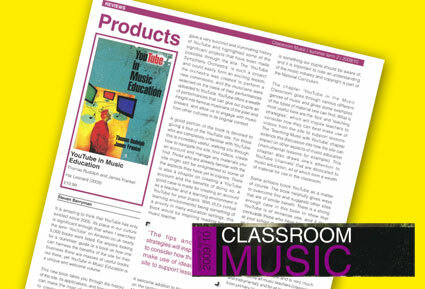 An article for MusicEd (Asia) including an interview with the pianist Christopher O'Riley and reflecting on how we can reuse pre-existing material to devise new works with students. It was this 'consistent quality of work' that O'Riley had brought to the fore in his transcriptions and it made me reflect that the importance of having models in the composition process and working with pre-existing material is of real benefit to our students when they are developing their own composition skills. Separating the generation of ideas from the development of material will allow students to experience the latter more fully, rather than getting stuck with the former and never quite achieving the development of material that allows them access to the higher mark bands in GCSE and A Level music. 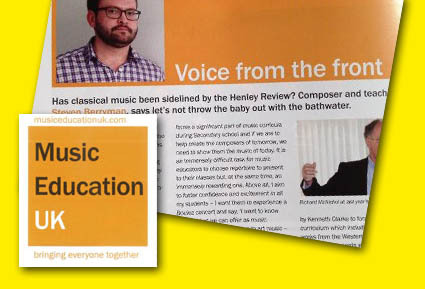 Short article responding to the Henley Review, published in Music Education UK Issue 3, September 2012. 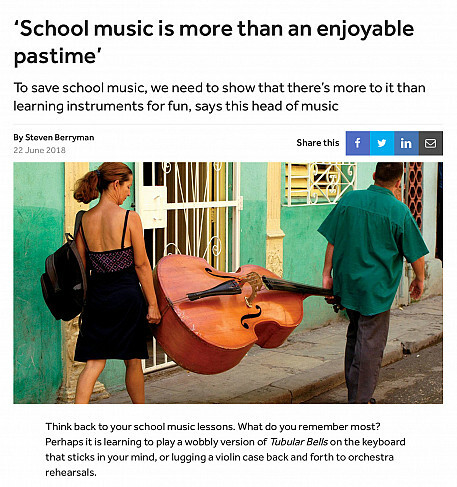 Darren Henley's Review of Music Education in England emphasised the value and importance of music-making as a practical skill and how much this can enrich and aid the development of young people's lives. This comprehensive survey lacked a detailed account of class music lessons and accentuated the role of extra-curricular music-making. A music education based on the development of creative and practical skills in music is in no way a bad thing but how important is content in class music lessons and particularly the use of Western art music? 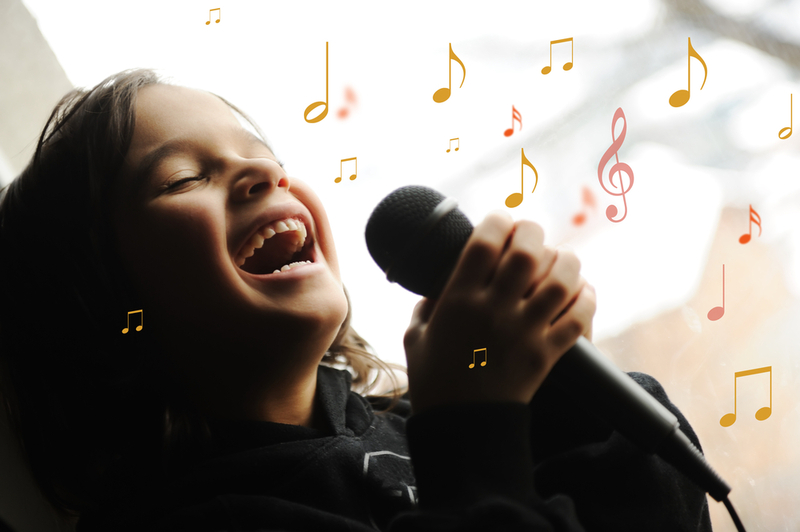 Are we offering our pupils a rigorous subject-based curriculum in music or is it just a series of practical activities that develop confidence in singing, playing and composing with a fleeting acknowledgement of the great works of music history? In my view, exploring the great works of the Western art tradition should form an essential part of the music curriculum, balanced with non-classical and non-Western. We should strive to create culturally aware pupils who not only have an understanding of the breadth and depth of 'classical' music but also feel confident in being part of, and perhaps even contributing to, the vibrant classical music scene on offer today. There are numerous publications in circulation that provide a wealth of advice on the issue of practising as a musician yet few really grasp the holistic nature of learning an instrument - a synthesis of mind and body - as well as Pedro de Alcantara's recent book exploring coordination, rhythm and sound called 'Integrated Practice'. This makes a welcome addition to writing about the Alexander Technique and the application of its principles to music however this book is a testament to the breadth of the author's experience as a teacher and he draws upon influences beyond the Alexander Technique and music with real aplomb. The book is organised into three parts starting with rhythm. There is a well paced explanation of prosodic concepts and how they are relevant to music and the chapters in this opening part progress well from basic rhythmic structures to larger 'superbar' structures. Teachers will find lots of activities that will not only be of interest with regards to their own practice but those of their pupils. The author illustrates his ideas with expertly chosen examples and his writing gives one the confidence to apply the concepts to one's own practice. Classroom teachers will find this section interesting for when coaching ensembles and chamber groups as there are ideas here to help improve rhythmic awareness regardless of the genre or style of repertoire. 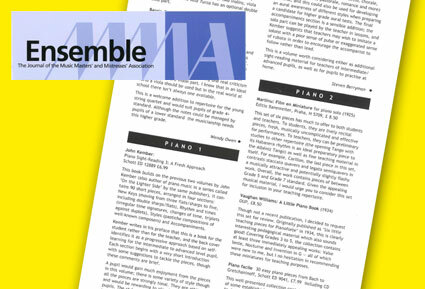 The composition coursework for GCSE and A-level music can often fill our pupils with excitement, fuelled by the increasingly interesting briefs the examination boards have to offer. Conversely, some pupils are filled with dread. 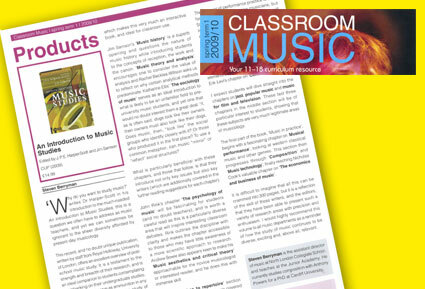 With composing being an essential component of music education right through the early key stages and the examination years, if it is no wonder a wealth of books exist on composing. 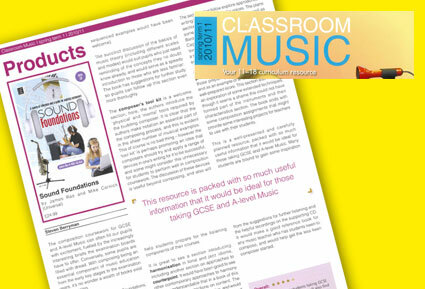 Recent years have seen resources guided specifically for GCSE and A-level music (including the GCSE Composition Course published by Peters Edition, and those Rhinegold offers) and there are treatises by eminent composers still in print, in addition to articles and books geared towards teachers (the Sounding Symbol by George Odam remains an essential volume). I was excited to receive Sound Foundations, sub-titled 'a source of reference and a guide for aspiring composers', published in 2009 by Universal Edition. 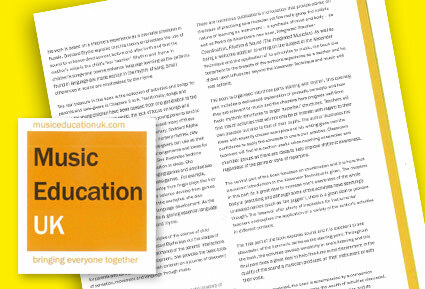 James Rae and Mike Cornick will be familiar names as composers and writers of educational materials, and they have produced a comprehensive volume that aims to do quite a lot in a small space. The book covers the basics of notation, and it is great to see regular examples and suggestions for further listening. 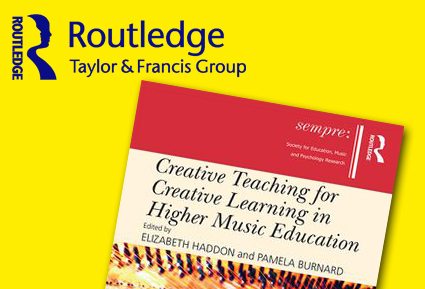 This would be ideal for those starting out on composing for the first time, especially as the supporting CD has recorded examples of the musical illustrations (though perhaps some non-sequenced examples would have been welcome). I always find it interesting to read discussions on the validity of extended techniques and less conventional methods of sound production; perhaps occasionally - and naively - considered to be 'gimmicks', repertoire that exploits a broader pallette of sound production can offer insights not only in the possibilities of writing for particular instruments but also open the audiences' ears to something new. The pianist Zubin Kanga (currently a research student at the Royal Academy of Music, London) gave a brave programme of piano works at Kings Place in February that gave a snapshot of the unending potential this instrument possesses. 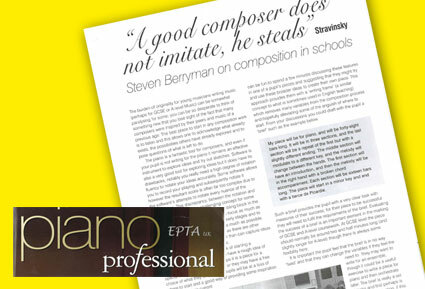 "Steven makes his points well and I'm pleased to see that he goes beyond merely advocating a place for classical music in the curriculum. 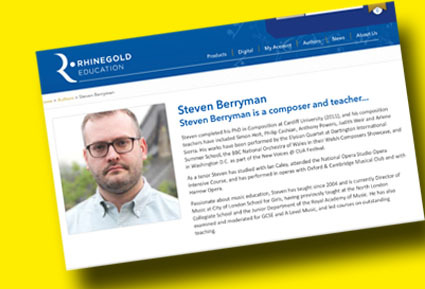 His excellent teaching resources on using the Spectrum piano pieces in the classroom show that he is prepared to look for engaging, worthwhile solutions to this challenge." Nothing can be more satisfying in the early stages of a new composition with a pupil than exploring scores. For me, all composition should start with research; listening to similarly scored pieces, exploring a particular composer in depth and perhaps even researching a particular compositional technique as adopted by a group of composers. Thalia Myers' wonderful Spectrum series unendingly surprises me with such a wealth of compositional intrigue; her carefully selected volumes offer such breadth of compositional approach that regardless of the composition a pupil is working on (or even writing myself) one can perceive with immediacy a mass of inspiration. 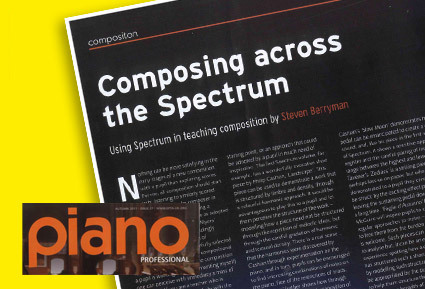 If you are a teacher who is regularly asked by pupils to help with the dreaded GCSE and A level composition coursework, or to offer much needed inspiration to those who find composing a challenging task, you will find a great deal on offer in all of the piano volumes in Spectrum series to spark off even the most struggling young composer. 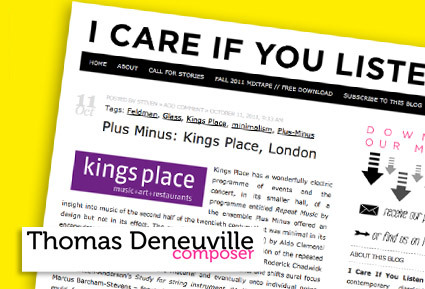 All the pieces in the series offer a glimpse of a composer's approach encapsulated in microcosm. Each piece offers a potential starting point, or an approach that could be adopted by a pupil in much need of inspiration. The first Spectrum volume for example has a wonderfully evocative short piece by Philip Cashian, 'Landscape'. 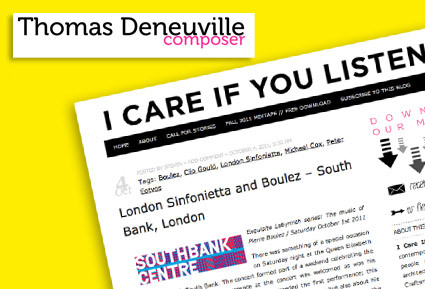 This piece can be used to demonstrate a work that is structured by timbre and density, through a colourful harmonic approach. It would be advantageous to play this to a pupil and let them perceive the structure of the work - modelling how a piece need not be structured through the repetition of melodic ideas but through the careful gradation of harmonic and textural density. There is a real sense that the harmonies were discovered by Cashian through experimentation on the piano, and in turn pupils can be encouraged to find interesting combinations of notes on the piano free of the restrictions of triads. Fitkin's 'Sazz' further shows how through extension of triads and the juxtaposition of seemingly unrelated triads one can create a beautifully expressive miniature.